Many of us have received maps like this from the church about our emotional life. Here are 4 dangerous myths about emotions that you probably learned in church. So, it’s not uncommon for Christians to think of emotions as temptations or distractions, to fear that emotions can only lead us astray. But that's not true. This is why learning how to listen to our emotions is a vital part of maturing in Christ. We misunderstand or misinterpret our emotions for many reasons, including immaturity, inexperience, and even sin. But that doesn’t mean our emotions are what led us astray. Here's an example: You may wake up tomorrow not feeling as sad as you do today, but until you face your grief and deal with it, it will remain with you. Most of the pictures and movies I saw as a kid about Jesus portrayed him as some kind of dour, serene, guru. But that’s not the Jesus of the New Testament. These distant, reserved, and unmoved pictures of God shape our spiritual imagination, and impact our view of emotions. But they are not what we find in the Bible. Read the gospels, and you will see Jesus comfortably express the full range of human emotion. There’s joy, happiness, compassion, and love—like you’d expect. But there’s also some of the harder, emotions. There’s frustration, anger, grief, and maybe (depending on how you read the account of the Garden of Gethsemane) even fear. Then, when we find ourselves overcome with sadness, or fear, some of us wonder if we're failing as Christians. Would we feel sad, or afraid like this, if our faith was stronger? Growing in relationship with God always means coming closer to truth. Jesus told us that He is the truth and that the truth would set us free. One of the ways this happens is that we are set free from self-justification, denial, and all the ways we distance from what’s really true. In Romans 7, Paul gets brutally honest about his own sin and weakness. In 1st Timothy, he calls himself the “chief of sinners.” This isn’t false humility. This is the natural result of spiritual maturity, where we can acknowledge what is true about our hearts. Don’t let flawed maps lead you into broken relationships, and spiritual stagnancy. Learn the truth about your emotions, and find yourself equipped to grow in a new way. Marc Alan Schelske writes about life at the intersection of grace and growth. 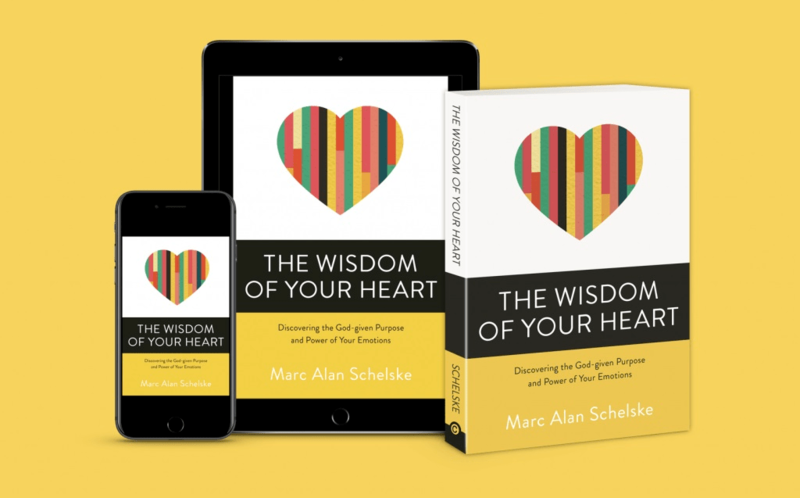 He's the teaching elder at Bridge City Community Church in Milwaukie, Oregon and author of The Wisdom of Your Heart: Discovering the God-given Purpose and Power of your Emotions. You can find him and more writing at www.MarcAlanSchelske.com.